Ok, so Glogirly can't read a calendar and we know that Waffles is no help. 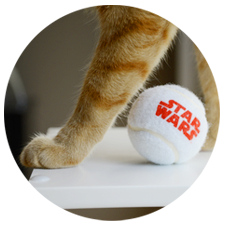 The deadline for our Star Wars Pets Swag Giveaway was listed as "Tuesday, August 30." Tuesday is not the 30th nor is it even August. So we're giving you TWO MORE DAYS to enter! Deadline to enter is TUESDAY, SEPTEMBER 3, 11:59pm EST. Does anyone know if there's a calendar giveaway I can enter for Glogirly? I can hear you now!!! And Waffles better learn the words to this tune right quick! Glogirly and I have the same sense of calendar. Well, even strong, invincible kitties need their beauty rest. 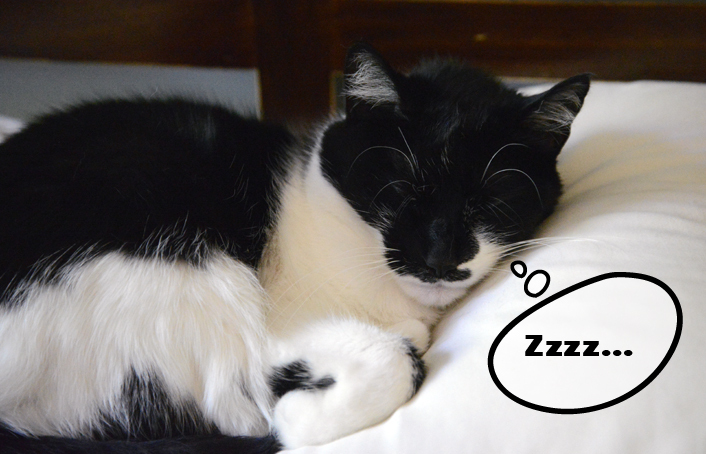 We kitties can accomplish amazing feats - and we don't even have to stay awake for them! That's a mighty roar! Katie, be thankful Waffles is letting you sleep! Happy Sunday! You can't be invincible if you aren't properly rested! Roarin'... yawnin'... it's all good. We could hear ya roarin all the way down here in Florida! You are the boss Katie! And Waffles should never be in charge of the calendar....LOL....although every day might be Caturday which would be fun! The Helen Reddy of the CB!! that was just great!!! That was one GIANT ROAR for lady cats everywhere!! I hear you, katie? Loud and clear. You are strong, you are invincible, you are SLEEPY! So it was you I could hear shouting way out across the ocean! 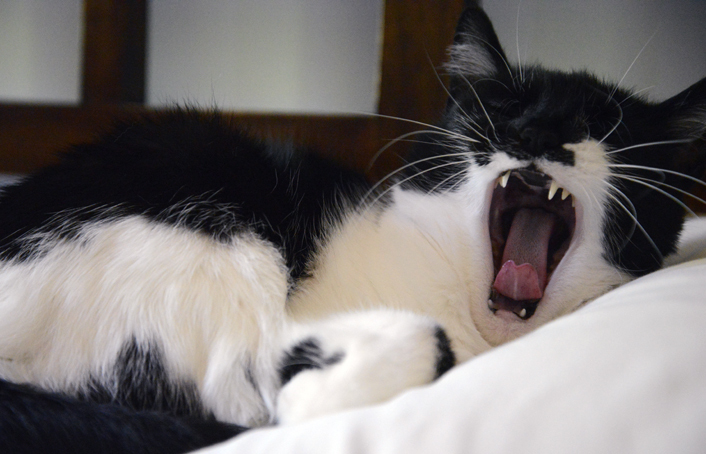 That was a nice roaring snoozy pretty Katie! WOW - I want that mouth full of toothies! What I wouldn't do for a set of fangs like that. Anytime you want to give them to me, I'll be over. You roar, Katie! You roar and you rule! This is your best post in almost a year. Do you realize this time last year, we were embroiled in the Cat Ruler of the World shenanigans?